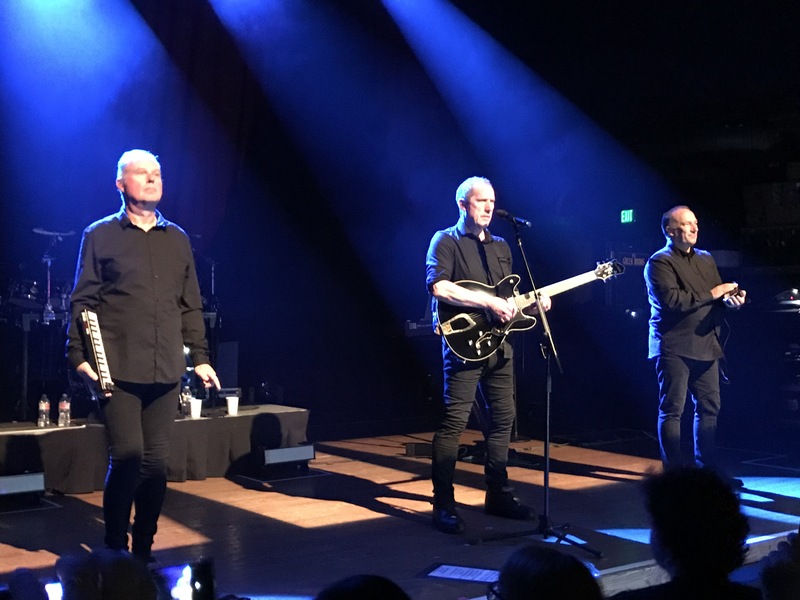 On Saturday, electro synth pop gods OMD performed to a sold out audience at the San Diego House of Blues. It was a stellar spectacle that I couldn’t be more ecstatic to witness. You see, I have been waiting for years to see them perform a full set live in concert. I saw them live at Coachella in 2013 and the experience was indelibly etched into my brain. Of all the big names I witnessed that year (Blur, Stone Roses, Dead Can Dance, Dinosaur Jr, Thee Oh Sees, etc.) 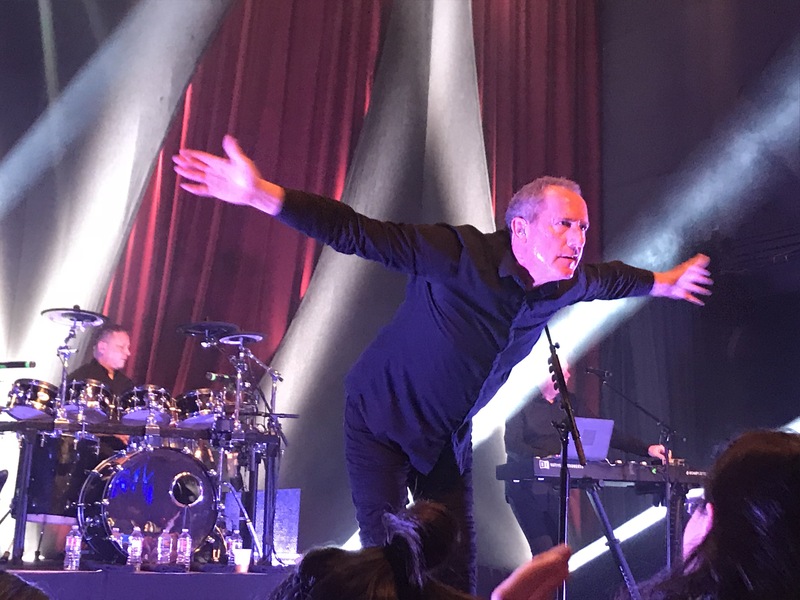 one of the best shows of the fest was OMD, whose short yet inspired set surprised me with its infectiousness and left me wanting more. Fast forward five years and the hors d’oeuvre became a three course meal of sonic satisfaction. Opening up the show was GGOOLLD, an impressive 5 piece band from Milwaukee, fronted by the charismatic Margaret Butler. GGOOLLD performed a tight and splendid set, interjecting some compelling head-nodding hard rock elements to the evening along with Margaret’s Mothra-meets Laurie Anderson performance art acumen, amply comprised of LED lights, a cape and a few jokes to match. 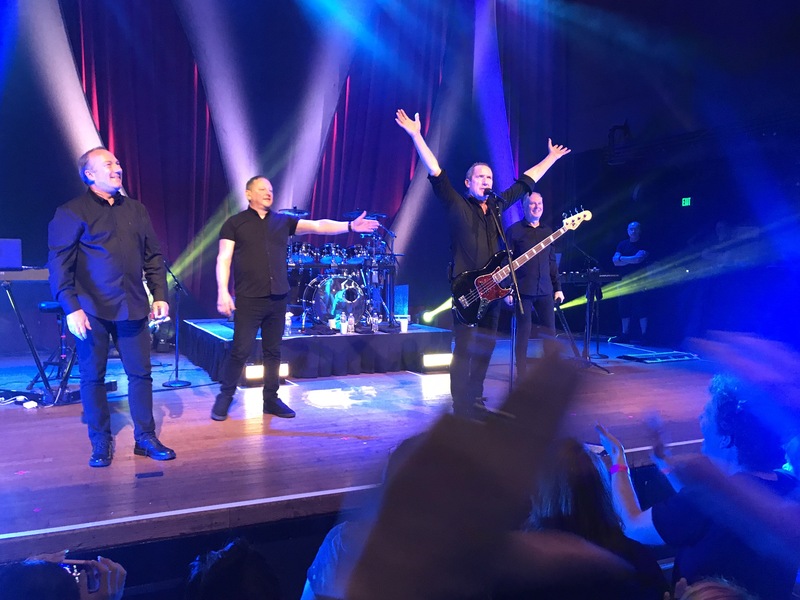 OMD took the stage to rapturous applause. Right out the gates, Andy was spry and energized. His paroxystic St. Vitus dance gyrations represented an accessible “you can do it too” supplication to the rhythmically inclined audience. In this persuasive role, he took the shape of a humanistic and proletariat version of the Pied Piper of Hamelin, compelling the crowd to follow him to more promising horizons of musical bliss. And follow they did. But it wasn’t just Andy who shined in the spotlight. 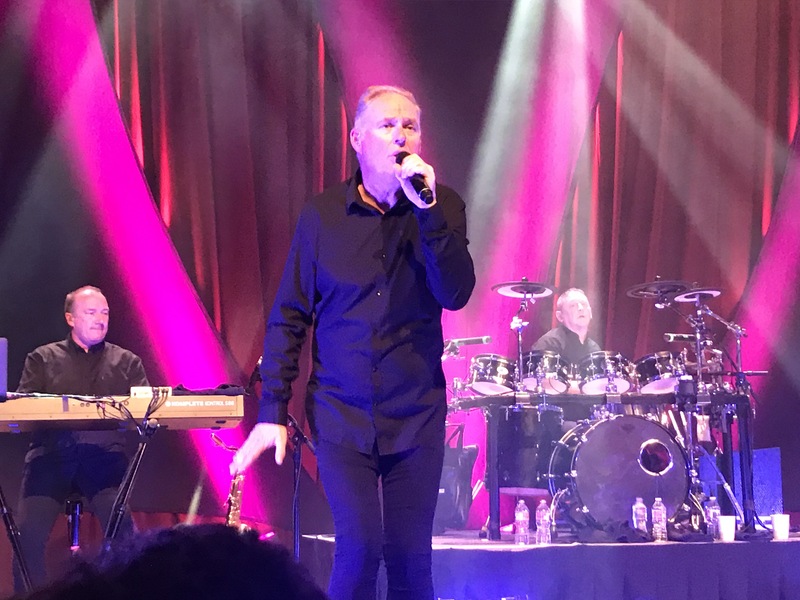 Paul Humphreys took the stage to perform “Forever Live and Die.” In some ways, his role in OMD is akin to that of Martin Gore in Depeche Mode, the talented but humble backbone of the group. 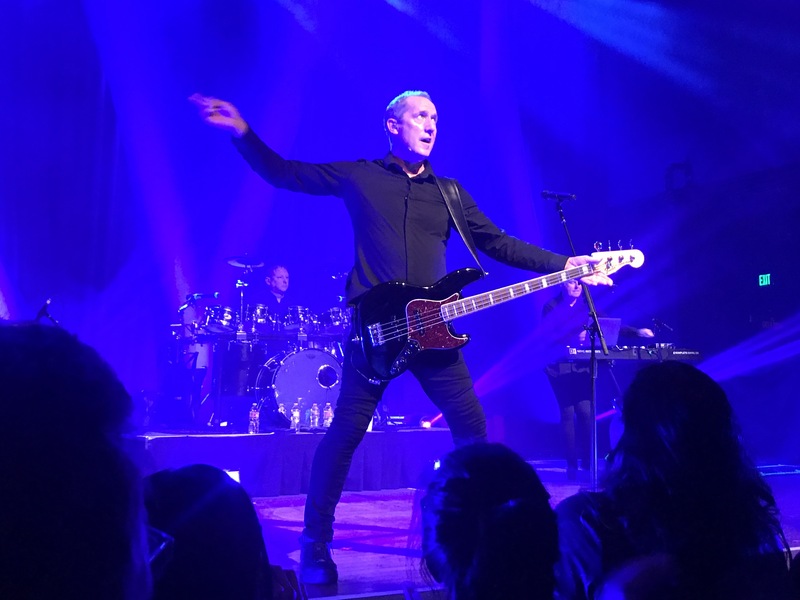 In fact, this dynamic wasn’t lost to Andy when he jokingly quipped “where’s Martin Gore when you need him?” after a delayed start to “Seven Seas” later in the set. 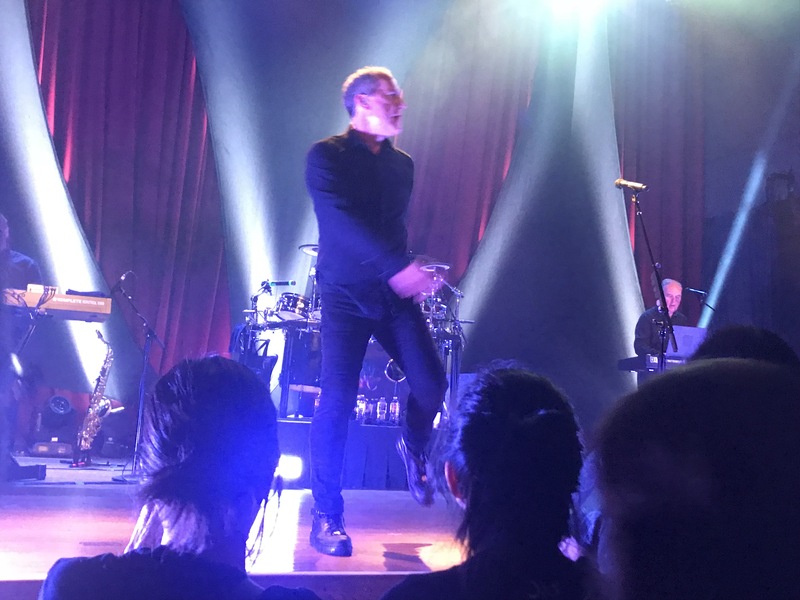 One moment during the concert that nearly brought tears to my eyes was the eloquent and subdued “Souvenir,” another track in which Paul showcased his introspective aesthetic style. 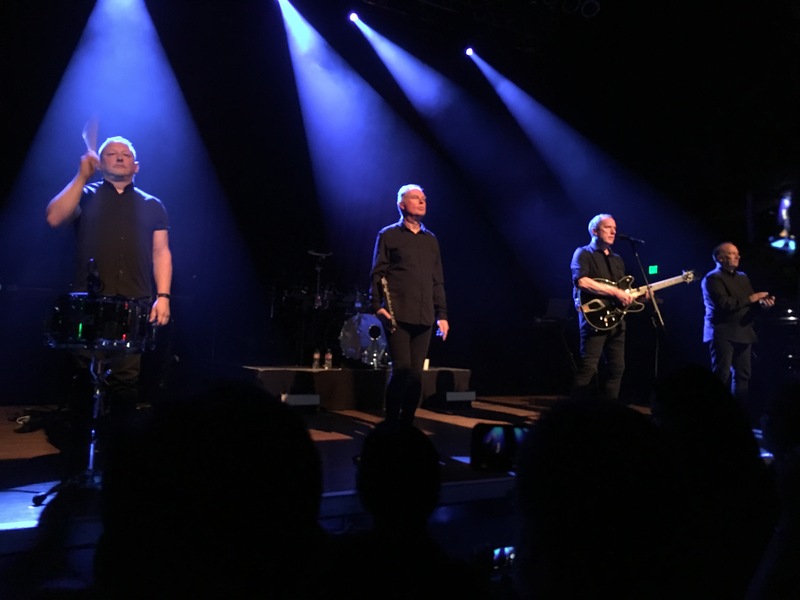 The festivities continued unabated, with all four members of the band walking to the front of the stage to perform “Of All The Things We’ve Made” in a stark Kraftwerk-style minimalism, while Paul sang the classic, evocative lyrics. Beautiful stuff. During the encore, Paul once again dazzled the crowd with his vocal talents during the anthemic “Secret.” About a minute into the song he stumbled on the lyrics, to which Andy commented at the rarity of this phenomenon by responding, “You just witnessed a world first- he NEVER forgets the words!” The faux pas was actually a blessing, as the band started the inspiring song from the top. No doubt, something that the audience would never complain about. 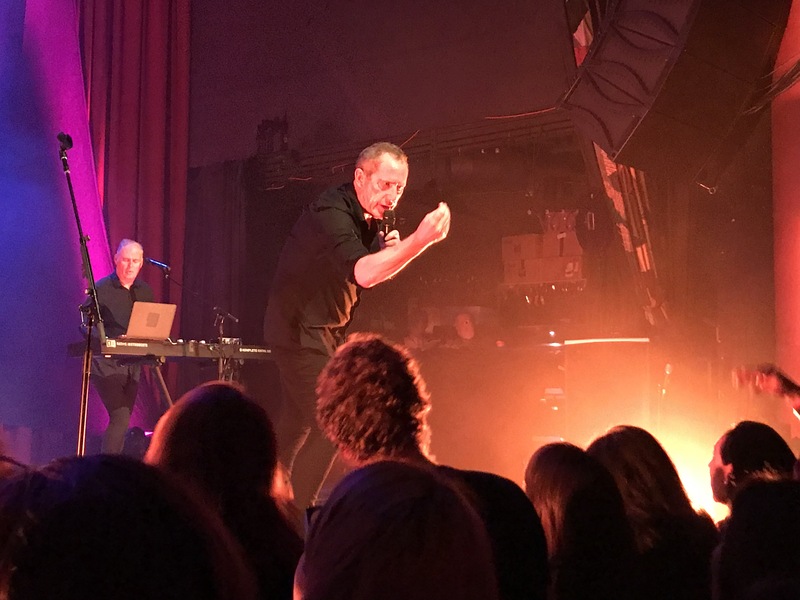 In fact, I think OMD could have performed this adored, penultimate track dozens of times and the crowd would have cherished every blessed reiteration therein. 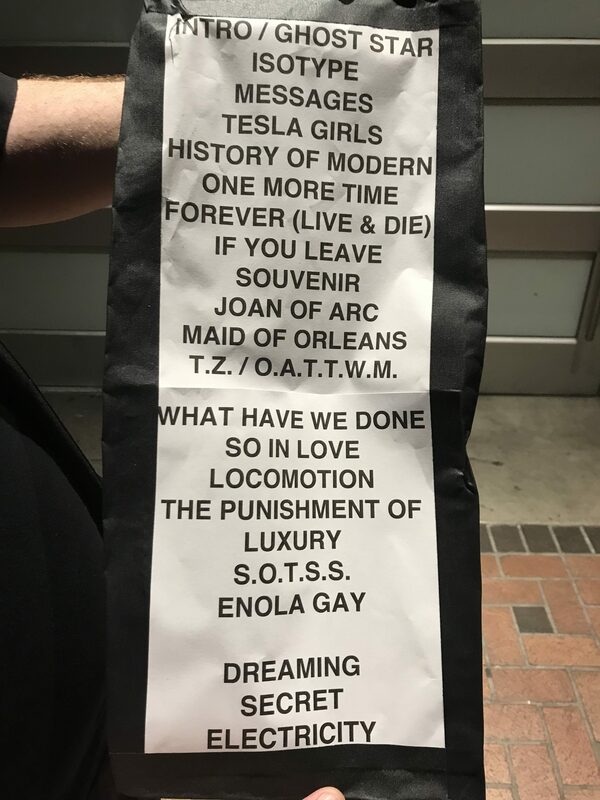 Rounding out the night was the hyper-activated rendition of “Electricity” (in Andy’s words, their “oldest and fastest song.”). 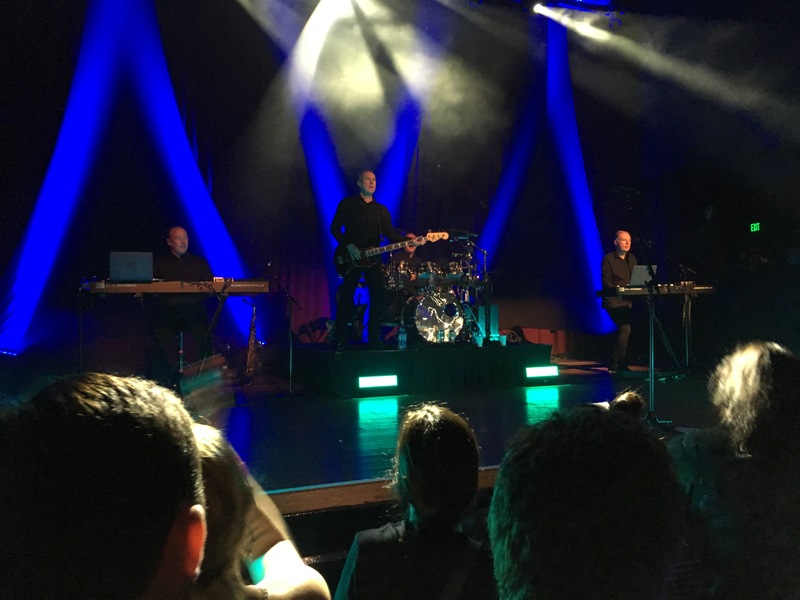 OMD is amazing live. One of the all time synth-pop greats. 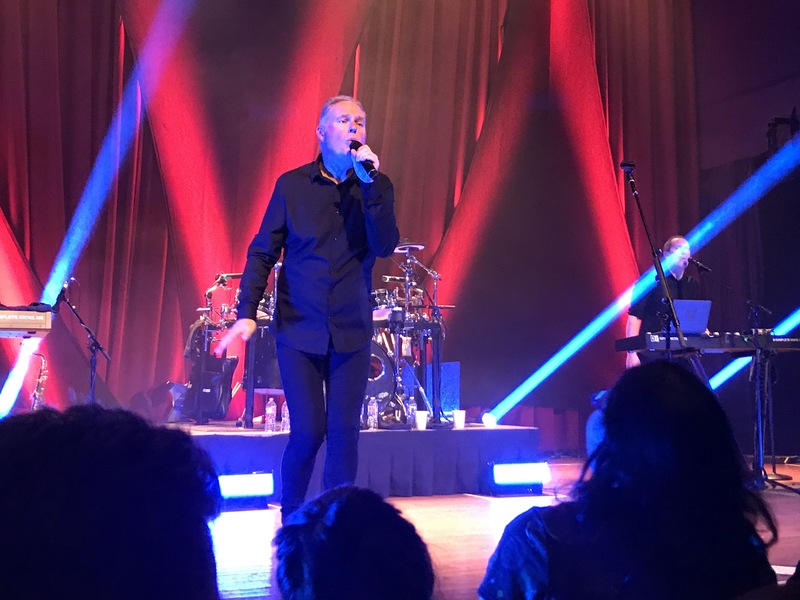 If you want the infectious hooks of Depeche Mode, combined with the uplifting cheery elements of Erasure, you will be well served with a healthy dose of Andy, Paul and Co. Just bring some comfy dancing shoes. ‘Cuz you’re going to need them. 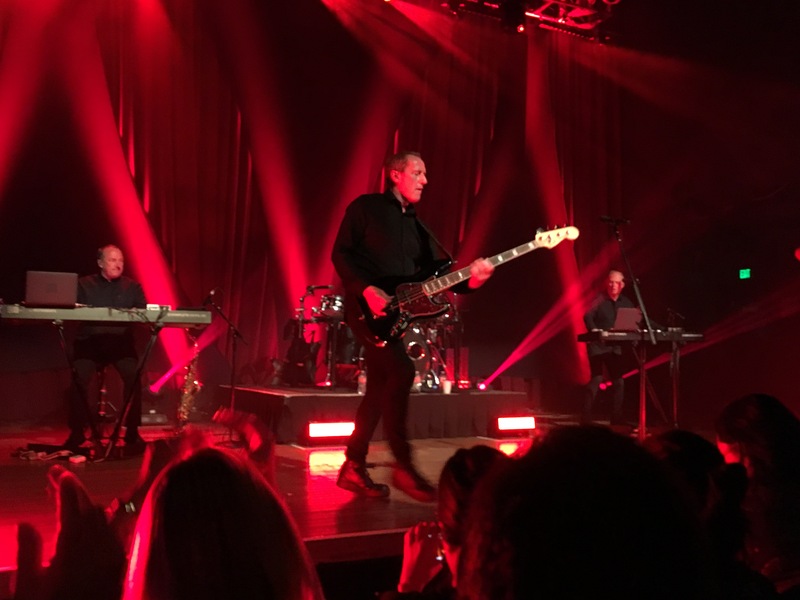 To find out more about the current world tour and to get their latest album, check out www.omd.uk.com.